The indie band Eric & Magill from Kenya and the US released a new album called “Two Travelers”. Really an interesting and relaxed indie album. Like it! Listen to “They make it so good” too! Today, I will present you an album from Various Artists playing the Mbira. I bought this album before christmas 2011, and now, I want to present it to you. 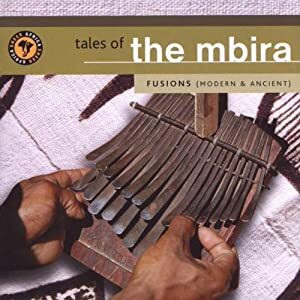 Tales of the Mbira is an album from various artists, singing songs and playing the Mbira. The songs are influenced from Tradtional African music to jazz and lounge songs. You can hear songs from Thomas Mapfumo(look up, I already posted some of his songs), the Mbira Dzenharira group and other great Mbira players. And the most of these great songs aren’t in the web so far! If you like the Mbira, as a relaxed and happy(sometimes also sad) instrument, you should really buy this CD, it’s a great mix from classics to very new and unknown versions! !